Adjusting to the college life was a big challenge for myself. I knew it wasn’t going to be easy, but what kept me going through the semester was the idea of how I am one step closer to fulfilling my aspirations. Currently, I am a pre-physical therapy student. One of the most difficult things I have encountered at Loyola in my four years is commuting from the northwest side of Chicago everyday. My commute is about an hour and half ONLY one way, so time management was critical for me; however, I didn’t want to have a boring college life– going back and forth to school, doing homework, and repeating the same thing all over again, as it was worse enough that I couldn’t live on campus. 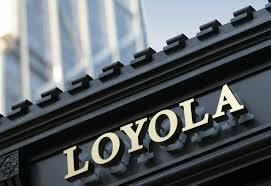 In high school, I was greatly involved in extra curricular activities, and I wanted to continue that here at Loyola. Although I do not have as much time as in high school, I promised myself to join at least one group so that I can give myself a break and get a little experience of the fun college life. I did have to sacrifice “sleeping in” by choosing 8:15/8:30 classes almost every single day so that I had enough time to hang out with friends afterwards as well as attending group meetings/activities, keeping in mind that I had to be home at a certain time so that I don’t commute during late or dangerous conditions. 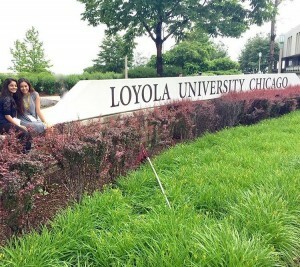 Along with rigorous courses, being a part of Loyola’s Pakistani Students’ Association and Loyola’s Muslim Student Association, meeting new friends, and of course, commuting 1 hour and 30 minutes by Chicago’s lovely public transportation, I wouldn’t want my four year experience here at Loyola to be any different. Although it was quite challenging at first, it made the experience worthwhile and unforgettable. I was able to meet a lot of new people and realize that all this sacrifice and dedication was just an obstacle I had to overcome in order to reach my goals that I know one day my parents and I will be extremely proud of. Hey everybody! 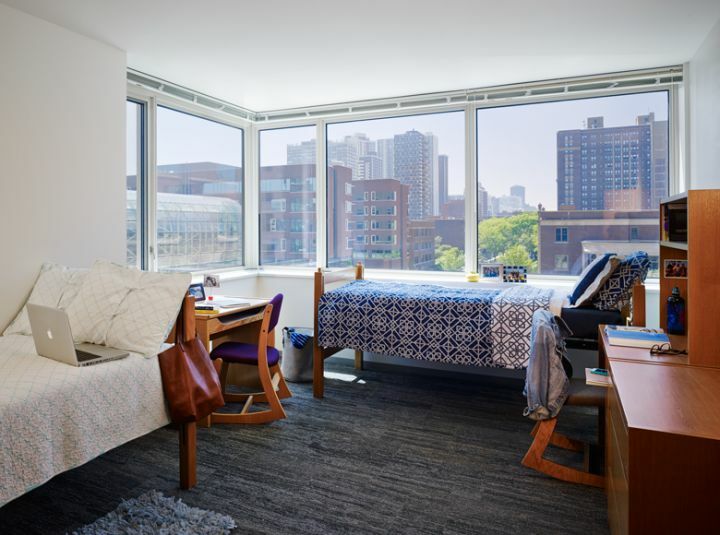 Welcome back to “A Series of Firsts,” where I tell you about my many first experiences navigating the resources that Loyola offers its students! 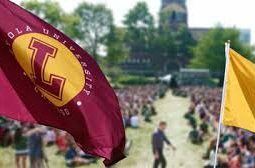 Today it’s all about Loyola Weekend, and how it was working for UAO during the busiest time for the office, and Loyola itself. A little about Loyola Weekend: every Spring Semester, admitted students and their families have the opportunity to visit campus and experience first hand what Loyola has to offer its students. From staying overnight with a current First Year, to touring our campuses and meeting Staff and Faculty from the different Departments at the University, Loyola Weekend is a weekend full of activities so that admitted students can picture themselves as being part of the Wolf Pack! The Weekend itself is run by the Undergraduate Admissions Office (where I work) with the help of other Departments in order to better accommodate the needs of the incoming families without disrupting normal University activities. It really isn’t a job for the faint of heart. In order to make sure that the Weekend would run smoothly, UAO recruited all of its student workers to give a little help in as many tasks as possible; that’s where I come in. Having decided last minute that I was going to work on Saturday for Loyola Weekend, I had only a slight idea of what I was getting into since I had already worked for a similar event last semester. Nothing had prepared me for the work that went into preparing for the arrival of the families: days passed and the student workers had to prepare folders for every student that was to come, with information specific to the group they belonged to, as various hundreds of folders were needed for the weekend. I helped with folder making one day, and got a glimpse of all the other things that had to be done before Friday came: Faculty and Staff had to be reminded to attend their respective meetings, as were the Registered Student Orgs that were to participate in the Student Life sessions. The Panels for the different Schools and Departments needed to have enough people in order to give a rather full picture of the experience at Loyola. Students coming for auditions for Fine Arts Programs had to be accommodated properly, as were the students from the School of Business and School of Communication. enough Campus Tour Guides had to be available in order to show everyone around, and Student Ambassadors had to be available to provide the families with directions and help. There are so many other things that had to be done that I might not know of or not even remember, but every single role was important to be fulfilled, and our advisors at UAO made sure that we student workers knew that. As a tour guide for the Halas Recreational Center, I saw how important it was to show our admitted students what their new home looks like, how crucial it is for them to envision themselves as living in Loyola. As hectic as the whole experience was, with everyone running up and down in order to get everything done, I really enjoyed the experience. At the end of the day, I had enjoyed sharing with others a little of my time at Loyola and to express my opinion towards the different resources that Loyola has to offer its students. I felt that my voice was being heard whenever a student or my parent would ask me to go off-script to tell them a little more of what being a Rambler is like. And I felt great being able to welcome them to the community the way the Loyola community had welcomed me when I was a First Year. 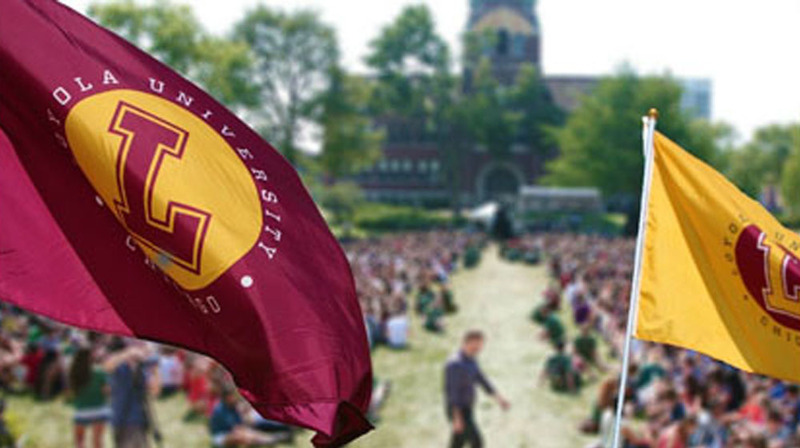 If you came to visit campus during this past Loyola Weekend, leave a comment and let me know what your favorite part of the whole weekend was! And if you have any questions about life at Loyola, just leave them in the comments section! It seems like every American knows about sororities and fraternities, and the not-always-positive image of them that exists because of movies like Neighbors and Legally Blonde. People see them as white, full of, well, the type of people whose appropriate adjectives I can’t type in my position as an employee for my school. Of course, most of it is untrue and illogical. There are always exceptions, but Greek life as a whole has been changing over the past twenty years for the better and better. So, you might be aware of those sort of stereotypical sororities and fraternities, but did you know there is also many, many Greek-letter organizations that are not historically white? Alpha Phi Alpha was created in 1906, the first black fraternity in America. 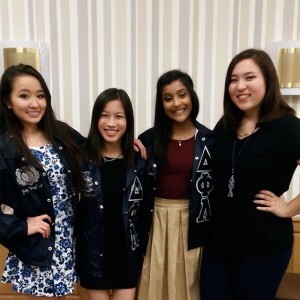 From then on, Greek organizations have been created and oriented more multi-culturally. 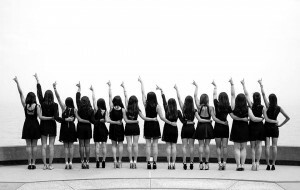 They’re all similar to Panhellenic groups, but with a few differences that span across them all. 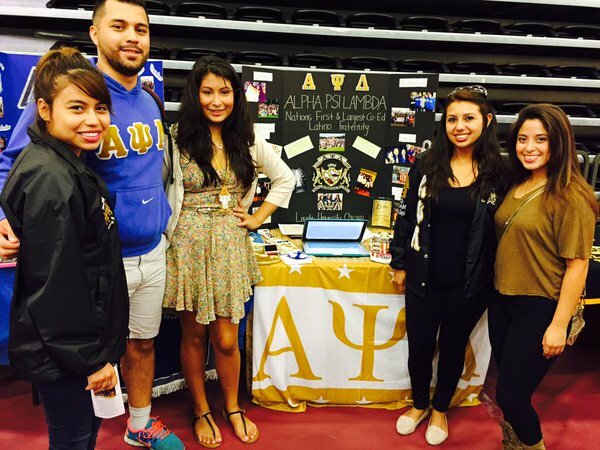 Multicultural Greek Organizations have traditions like stepping, strolling, calls, and reveal shows of new members that all contribute to the community of multiculturalism and pride in the organization. The Try Guys of Buzzfeed recently learned Stepping with UC’s Alpha Phi Alpha Chapter, and you can check it out right here. They also don’t have a combined Recruitment Weekend like Panhellenic and IFC organizations do, but rather usually hold free events over a course of two weeks. Loyola has it’s own Multicultural Greek Council. None of them are exclusively for members of one race or ethnicity or another, but rather reflect why they were founded and seek to continue those values. 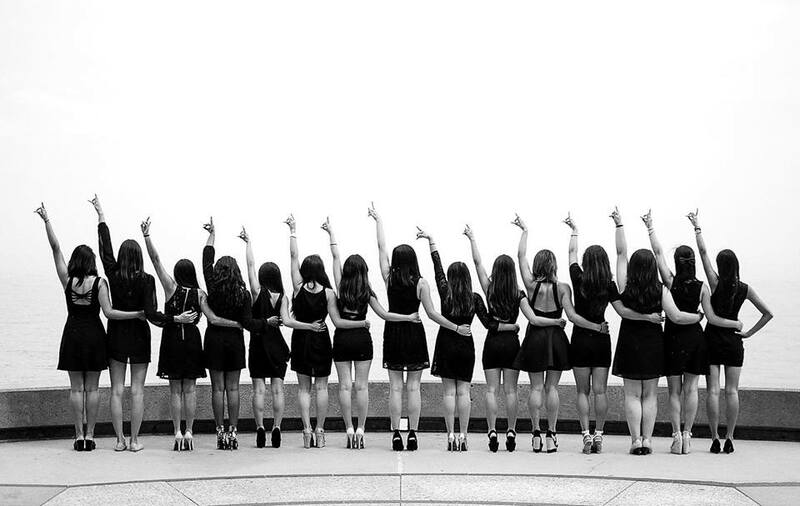 And usually, they’re a lot smaller than the 150+ members in other sororities and fraternities. 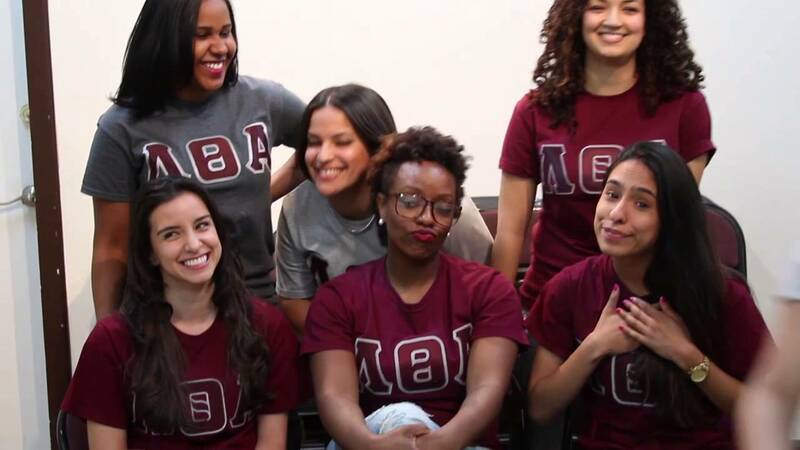 We have Delta Phi Lambda Sorority, Inc, as well as Alpha Kappa Alpha Sorority, Inc, Delta Sigma Theta Sorority, Inc, and Lambda Theta Alpha Latin Sorority, Inc. Delta Phi Lambda is the only Asian-interest sorority on campus, while Lambda Theta Alpha is predominantly Latina. Alpha Kappa Alpha and Delta Sigma Theta are both historically African-American, but that doesn’t mean that if you aren’t, you can’t join! As for fraternities, we’ve got Alpha Phi Alpha Fraternity, Inc., Kappa Alpha Psi Fraternity, Inc., and Alpha Psi Lambda National, Inc., which is a co-ed Latinx fraternity. 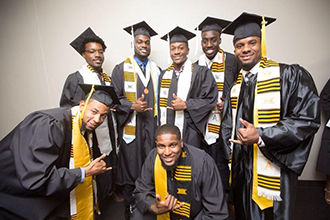 Alpha Phi Alpha and Kappa Alpha Psi are historically African-American as well. I know what you’re thinking – that’s a lot of words and groups that mean nothing to you right now. Loyola has a policy that means you can’t join a sorority or fraternity your first semester freshman year, no matter which, so there’s no need to go comparing everyone on campus right now. But this is my advice to you: keep your eyes open and your mind even more so. Even if you wouldn’t consider yourself ‘multi-cultural,’ you’re not excluded. You might just find a something new – whether it’s a whole new family, a changing experience, or a new favorite food. 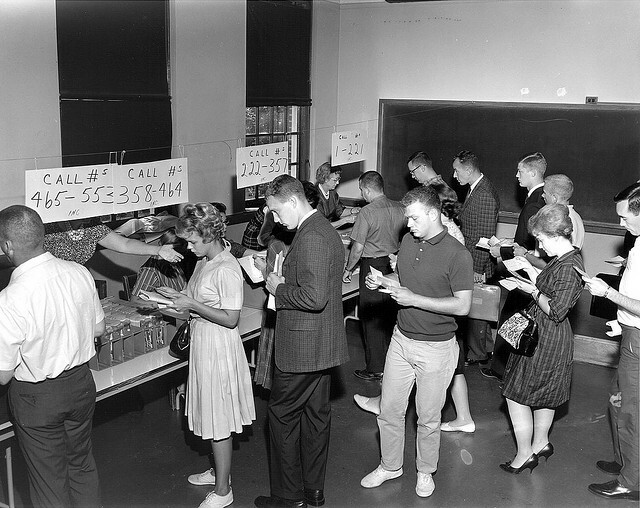 Registering For Classes – What’s that like? One of the biggest aspect of colleges is class. Unexpected, right? Not nearly so much as you would think. There are also other essential components to the college experience, but class is pretty high up there on the list, definitely a tie for first with whatever you love. After all, it’s kind of the reason you’re at college – or the reason you get to complete it. In the movies, there’s barely any representation of classes that you go to, or if there is, they take way less precedence that the drama between characters. Admittedly, a movie about an ordinary college class would not be very exciting. But classes are! Since you have freedom to choose which class you want, you can take anything that you need, love, or want to pursue. I just want to share with you all about the class registration process, because it can get pretty crazy. I know it always causes me panic, as a very schedule-oriented person, so I fix that by making alternate schedules upon alternate schedules, calculating what to do if I don’t get into this class or that. 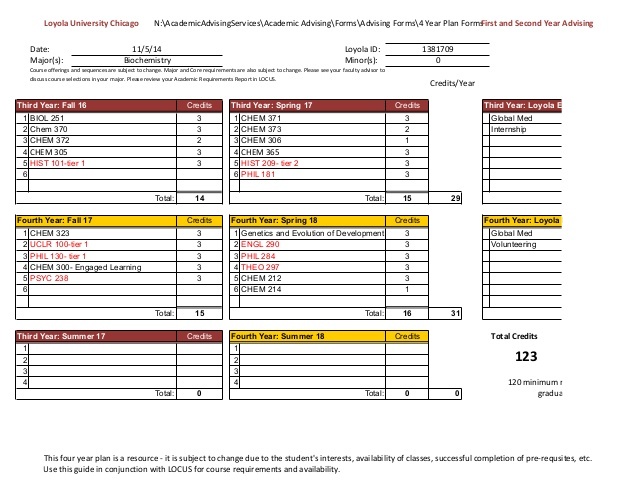 We have something called the Four-Year Plan, a layout on Excel that provides an easy layout for planning all of your classes, if you’re like me and want to check that out. The way our registration works can seem weird, but it makes sense. Depending on your credit hours, you get to have registration priority, or if you are in a program that requires you to take classes in a specific order or amount, such as Honors. Registration takes place entirely online, unless you need to talk to an advisor about something specifically – they can override things and pretty much have magical schedule powers. 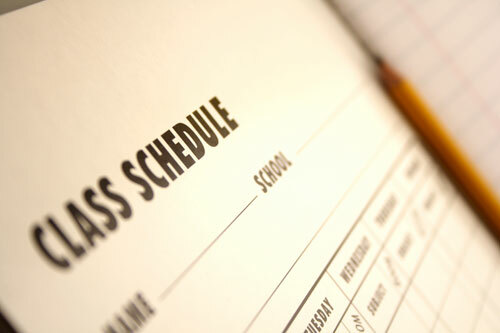 Before registration even opens, however, you can put classes into your ‘shopping cart’ after picking out the time, teacher, and class that is offered that best works with you. That way, when you do get to register, you don’t have to waste precious time scanning through the inventory – you can just click ‘enroll’ and you’re set! Unless, of course, your class is filled by people with an earlier registration time than you. For freshman classes, that’s very unlikely, but it gets more common the longer you’re here. It’s all dependent on credits – so, credit Seniors get first pick, then Juniors, Sophomores, and so on. It’s pretty neat because many people come into college with transfer credits from AP classes so they could be a credit Sophomore while still being a freshman, allowing for earlier registration. Very cool. Really, as an incoming freshman, you shouldn’t worry about getting into classes too much. You might hear this piece of advice a lot, but I’ll tell it again: don’t take 8 am classes. Later in your college career the professor becomes more important than the time, but I have seen so many freshmen regret their decision to take an early class. Just trust me. Wow, a hefty topic. Crazy how big the decision is, too. I don’t mean to scare you. But I do want to remind you that decisions are due May 1, and if you haven’t started thinking about what you want to do, well… Now is the time. So that’s where I come in! As a student who made her own choice less than a year ago, I can tell you the tips and tricks I used, saw, and have learned about deciding where to go to start the Next Big Adventure! Let’s get things straight from the get-go: whatever you do, it doesn’t have to be permanent. You can always transfer, or (though I don’t encourage it) drop out. You are not locked into a path that will define you for your whole life after this month ends. I know people who have transferred in their junior year of college, or transferred twice, or even chosen to leave Ivy League schools. 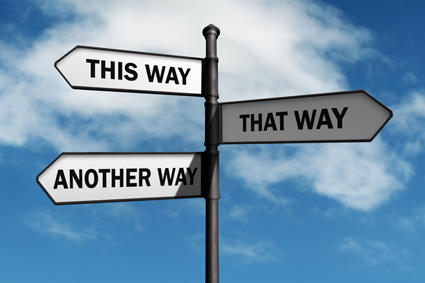 Whatever you do, whatever you tell a college, you still have options. And who knows? The person you are now might fit in perfectly at the school of your choice, but the person you might be in two years might say: this is no longer who I am, nor what I want. And that’s okay. Now onto the key stuff: choosing a college. A lot of people will tell you they just ‘clicked’ with a campus when they stepped onto it, and if that’s you, congratulations! Follow your heart. A lot of people will get excellent scholarships and decide to attend a school solely based on that. Congratulations if that’s you! Very practical. 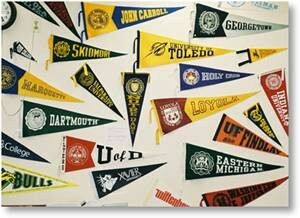 But sometimes people are strongly torn between two, three, or even four schools where all the factors seem the same. Consider your life when you’re looking at colleges. Where is the college? How far is it away from home? Will you be okay being so far or so close to places you’re comfortable with? Do you like to explore and see new things in a city atmosphere, or will you just stay on campus or do outdoorsy things on a campus that is farther away from the urban jungle? Will you be able to be smart for the weather? 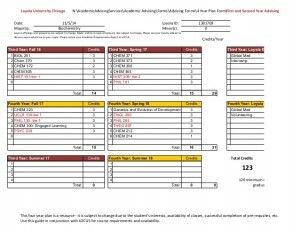 Would you be better at a large school, a medium, or a small? 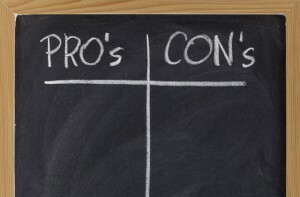 Are you undecided, or do you know what you want to pursue? I’d advise that either way, you attend a school that offers other things you’re interested in, just in case. Just trust me. Even the most stubborn people I know have gone on to change their major. Now, if you’re sure you’ve considered everything, from financial aid to campus aesthetic, but you’re still torn, I’ve got ideas to help you. Tour them like crazy. Even if you’ve been on the same tour five, six, seven times, do it again. Are you bored of the tour? Do you tire of seeing the campus, or would you rather break off and enjoy it on your own time, in your own path? Interact with the school as much as you can – after all, you might end up there for the next four years. Talk, talk, talk. Contact your admissions adviser. Contact whomever would be your First Year adviser. Leave a comment here and talk to me. Go on Facebook and talk to other potential students from the school. Talk to current students that you meet on your tours. Even if it’s about the weather, interacting with people can tip the scale. Write it out. Physically grab a piece of paper and divide it in half, or however many sections you need. 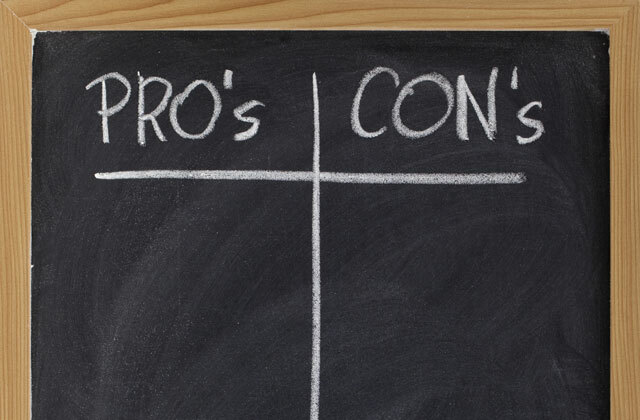 Then use a pen and write out the pros of the school – and then the cons. If you find it’s very easy or too hard to write them, take note of that. Pay attention to what you’re thinking. I chose Loyola because of a combination of good factors, from scholarship to location, even though I didn’t love it immediately. But now that I’m here, I can’t help but think that I could have avoided a lot of mental agony and decision-making stress by looking into myself and realizing why I kept it on my list of ‘to-consider’ was because it was really great, I was just being stubborn. I may be one of those people who make the most out of everything, but even still, I love Loyola and I’m glad I came here. I hope that, no matter where you end up going, you’ll love yours the same. I am part of a learning community at Loyola. 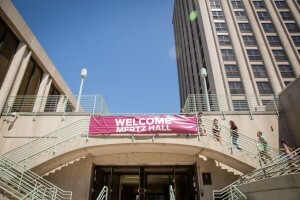 There are a variety of learning communities that incoming freshman can join. Students that are in learning communities will have monthly meetings about their learning community. 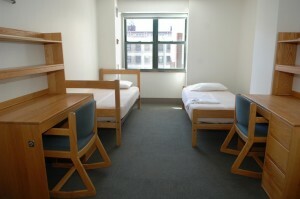 Also, students will live in the same building with their learning community peers to get to know each other. The learning community I am a part of is First Year Research Experience (FYRE). With this community, students stay for three weeks in May to do their own research after the spring semester is over. FYRE students are placed in a groups that focus on a specific subject. The different subjects are mathematics, statistics, physics, computer science, biology and more. I was placed in the mathematics group so I have to choose a social justice topic and use mathematics to analyze the data collected for my research topic. Currently, my topic is the cost of healthcare and I will researching how has the cost of healthcare changed over the past 10 years and what populations are still struggling to gain access to it. I think this will be a great experience because I get to prepare myself to conduct and analyze research on my own. I am a nursing major and might not need research later in life but it is still a great experience to have. I can also add it to my resume and show people that I tried something new that was out of my comfort zone. After that my three weeks of research, summer begins. To be honest, I do not know what I will do for the three months off, but I will definitely be taking advantage of my break and taking time to care for myself, others and my community. Deposit Paid and Forms Signed: Now What? Well done, you. So you’ve done everything the UAO asked you to do – took the placement tests, promised to keep doing good senior year (right? ), turned in your money, signed away your life. Now all there’s left to do is… what? Chances are, you’re going to go into this whole process without knowing where you’re exactly going to live, without knowing who you’ll be rooming with, without knowing how you’ll handle being away from home for a big chunk of your life for the first time. And you’ve got all summer to worry and get yourself into a frenzy about all the unknowns. Let me give you the number one pro tip that saved my life. Join the facebook group. Whatever your class will be, Class of 2020, 2021, 2050, join or make the facebook group. Chances are it’s already been made, but you never know. Go join it. And then, if you’re in any other groups, join or make those too – like Honors, or your LC, or even ‘Loyola Class of 2020 Students from Michigan.’ Anything like that. And then get involved in them. Now, I’m not saying use it like a blog, but it certainly wouldn’t hurt to make introductions and put your opinion out there on some questions, or do some research and help to answer some questions people with less Googling skills than you might have. Be active. Make friends. Make a group chat. Go into campus with people you already know, so that you can start with a solid base of people to branch out and hang out with, if only for that first week before you make other friends. Now for number two: communicate with your roommate, when you get them. Text them. Call them. Pack your stuff while Skyping with them. Meet up with them, if you can. You don’t have to be best friends with your roommate, but if you start it off with a foundation of friendship, or even mutual respect, it’s gonna be a whole lost easier. Disliking people you live with is something you want to try to avoid all your life – it’s just not good. It helps nobody. For a lot of things, you won’t know until you get here which of you is more likely to wash dishes or take out the trash, or if they scratch in their sleep, or if they’re the type of person that will go out every. single. night. Most people haven’t gotten the chance to learn who they are in a non-monitored living environment, so they can’t tell you honestly whether or not they’ll go to bed late or if they’ll eat in their bed, just because they can. All those sorts of things are totally unknown until you find the rhythm that works best, so you have to try to start everything off on the right foot. Number three: when it comes time, make a packing inventory list. Make a packing list for things you’ll need for college, but don’t set it in stone – be willing to add or detract things you find you might or might not need. But write it all down, and make some sort of note when you definitively have packed it. You’ll know what you have left to pack, what you have packed, and what you have overall so that you’re not at the very last moment going crazy on whether or not you’ve packed deodorant or gotten all your school books. And, if you have forgotten something, don’t worry. I’ll tell you in advance that a time-honored tradition of Welcome Week is a late-night Target run for everything you didn’t know you’d need. Number four: enjoy your time right now. Enjoy the last few weeks of your senior year, enjoy your parents cooking and your hometown. Enjoy each and every moment you spend with your friends, cause it’s gonna be a lot harder to get together when the fall rolls around again. Give your pets as much affection as your heart can handle. Lie around and watch tv. Recognize that your job is gonna be useful when you’re in college and all you want to do is go down to Molly’s Cupcakes and get some cupcakes, and you can do that because you have the funds. Really, don’t dread it – be excited! This is whole new world and an opening to experiences you can’t even begin to imagine right now. It’s going to be great. I’m excited for you! Ooh, a job. For some of you, it might be a scary, new prospect that just a reminder of the incoming doom of life after school. For others, it’s something you’ve known for years. Whether you’re looking to get a job to help pay for this expensive (but worth it) school or just so you can get bopngrill every week, let me tell you about the state of jobs and Loyola, both on and off campus. 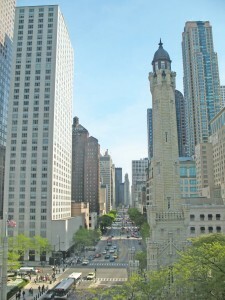 Even if you live just down the block from Loyola, things change when you get here. In the job quest, you might qualify for work-study – or you might not. Luckily, no matter your needs, Loyola is here to help! We have job fairs every single semester that host companies looking to hire college students and RamblerLink, a website that also connects prospective employers to potential employees. Of course, there’s more than that, too. That’s mainly off-campus. Near-campus opportunities include working at The Coffee Shop, Subway, Insomnia Cookies, and so on, and so on. 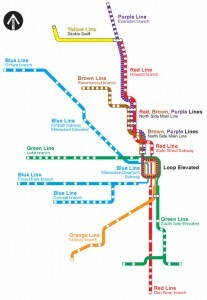 Businesses hire, and you don’t have to take the CTA to get to work! There’s also online freelance jobs perfect for students, like writing for The Odyssey. It’s Chicago. There’s lots of job opportunities, if you’re willing to go out and get ’em! And if you’re not comfortable leaving the campus or your schedule won’t allow for a thirty-minute commute, then on-campus is for you! On-campus has a lot, a lot of opportunities. Unlike other schools, our dining halls are run entirely by Aramark employees, so you don’t have to resign yourself to working to feed your peers. Instead, you can work at the Undergraduate Admission Office, like me! Or you could become a Desk Attendant, an RA, a lab assistant, or a tutor. You can work at the Phonathon, or with Campus Reservations, or even Conference Services. There’s also Orientation Leaders, Welcome Week Leaders, College Coaches, and on and on and on. You could be a security guard at LUMA if you wanted to give that a try. If you can dream that Loyola has a need, then there’s a job. So where will you work? There’s so many choices, it’s really up to you, your circumstances, and your need. Trust me when I say that the job market isn’t something you have to worry about being too small here in Chicago and on campus. Happy hunting! First off, I gotta say, yay! 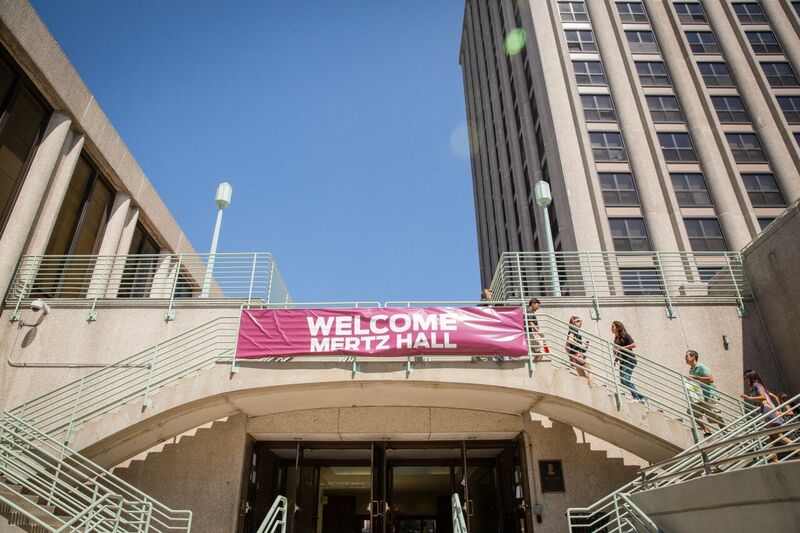 We’re all very excited to host you at Loyola, and we hope you’ll enjoy! If you’re not signed up for an overnight and you’re interested in Loyola, please check out our programs – we’d love to have you. I personally think overnighting at a college is one of the best things you can do that affects your decision, because you get to know the community better and experience a day in the life of a student, as well as familiarizing yourself with the campus and tasting the freedom that is college living. The tricky part is if you have a bad experience at a school you love – of course, those are very rare and everyone is actively working to make sure you don’t have a horrible time, but even still I would advise you to not let it truly factor into your decision. Overnight hosts aren’t exactly personalty-matched with their guests (it just isn’t possible because so many people overnight and host), and it is just about twelve hours with them – when you get to college, you’ll be able to choose your own friends and find your people. Well, second off, here’s a list of to-do once you’ve signed up, before I even get started talking about the overnight itself. It’s important you respond when your host reaches out to you to tell them if you’ll be parking on campus, and when you think you’ll arrive, because they have to let other people know, as well as show up to get you! You also want to fill out and return all paperwork as promptly as you can – you don’t want any snafus or speedbumps that could mean you might not be able to overnight after all. And packing, which is very important! You want to pack your pajamas, clothes for the next day, toiletries, maybe a notebook if you want to take notes, and shower shoes and a towel if you plan on taking a shower! most importantly, bring a pillow and sleeping bag. Your host most likely doesn’t have an extra bed or futon for you to sleep on. Also, I’ve seen some guests come with huge suitcases and some with just a backpack – personally, I’d advise the smaller the better, since you could be hauling it up several flights of stairs, but it’s up to you. You also could bring some extra money if you wanted to buy a snack from our Cafes or Food Court, but that’s totally optional. You won’t be able to leave campus, but you’ll have food tickets to eat at our dining halls, so you won’t go hungry. Thirdly, remember that your hosts are doing this because they want to show you around Loyola! They are still human, however, and they’re nervous to meet you too. Some might cover that up by talking a hundred miles a minute, and some might be on the quieter side, but they’ll be trying their best. It makes both of our experiences much better and much more fun if you try to engage them with questions and conversations. If you’re not naturally extroverted, that’s okay! I just want you to gain as much from this as you can. It’s natural for there to be awkward pauses and silences sometimes. Since your host has been attending Loyola, they might not always realize that there’s something about Loyola that other people don’t know, so don’t be afraid to interrupt and say things like: “Go back. What’s Palm Court? Can we go to it?” And especially after the overnight is over, don’t be afraid to continue asking those questions to your host. They’ll be happy to help! 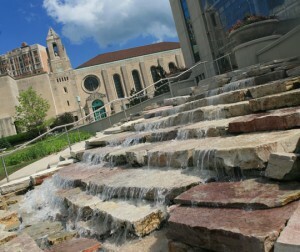 Fourth, if you’re wondering if there’s any must-see’s and must-do’s for your brief time at Loyola – there absolutely is! You won’t be able to get them all done in one visit, but here’s some I recommend. Talk to Sister Jean! She’s a living legend and holds so much passion about Loyola it’s impossible to miss the way she lights up when she talks about us. Go to Palm Court! 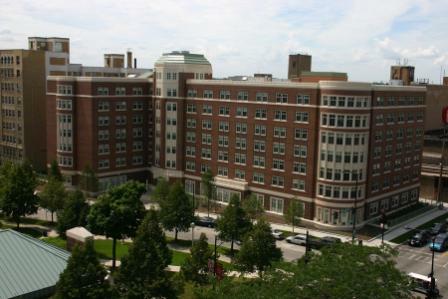 Our Mundelein building has a great view of the campus on the sixth floor – just take the elevator up and follow the signs! Explore Cudahy library! There’s a million hidden study places in there, and it feels like you’ll be able to get a lot done, even if you’re just passing through. Try deNobili’s make-your-own-pizza. What a luxury, right? They’re just the right size for hungry students and you can always shake it up. deNobili also has chicken nuggets from 9-11 that are just wonderful. 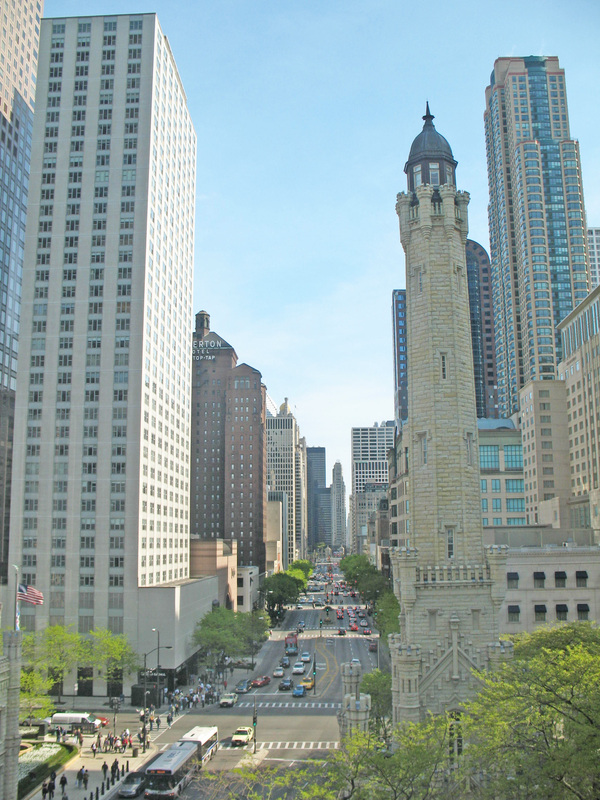 See the sights from Water Tower Campus! Loyola’s new Schrieber center and other buildings offer unique views of downtown Chicago like nowhere else. Meet TiVo! There’s nothing quite like knowing you’re in good hands… er, paws. TiVo is incredibly sweet and he’s incredibly hard-working, there’s no cons to meeting our therapy dog. 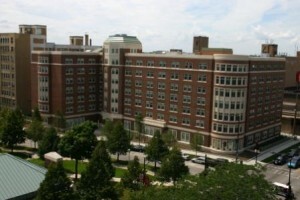 Walk down W Loyola Ave, right between Mertz Hall and Campion. It leads to a nice grassy area that is a great place to soak up the sun and eat a sandwich while enjoying the view of the lake. Hang out in Damen. If you’re a serial people-watcher like I am, there’s no better place than the round tables in the Damen Student Center. It’s the heart of the campus where everyone passes through, and you can see students involved in all sorts of activities, from tabling to studying to hanging out. Go to a sports game! If there’s going to be a game, go to it, even just for a bit. Our teams work hard to do their best, and the school spirit at games (about 50% Sister Jean) is easy to catch. Wow, this has been a long post! Well, I hope it helps. If you have more questions, feel free to ask your host or me. It’ll be a long night with an early morning, but worth it! Go Ramblers!